If I ever win the Euromillions lotto, LKL Towers will be adorned with a Kim Whanki or two. But as that will never happen, I have to content myself with an occasional visit to the Whanki Museum in Buam-dong. This May, there is a special group show in the museum, which includes work by London and Provence based artist Francesca Cho. She will also be doing a performance at a reception towards the end of the exhibition. 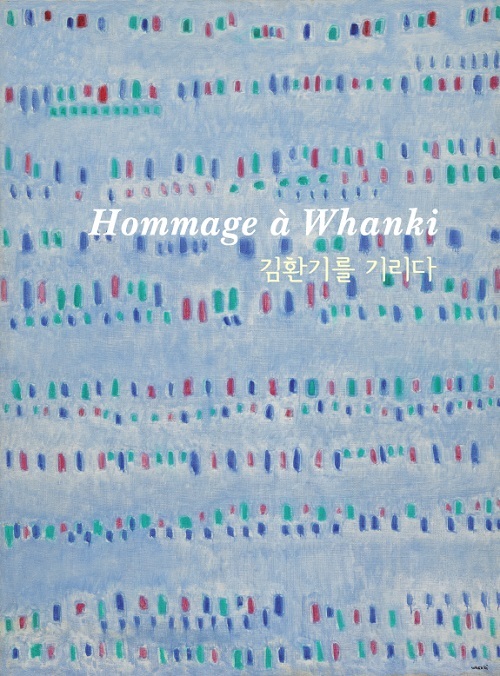 As part of the celebrations to the 101st anniversary of the birth of Suwha Kim Whanki, the Whanki Museum presents a group exhibition entitled ‘Hommage à Whanki’. The Whanki Museum is a foundation for education, research and exhibitions. In homage to Kim Whanki, through cooperation with artists, collectors and all art lovers the museum seeks to promote and strengthen, over the next 100 years, the development of future art projects. Finale performance by Francesca Cho and Viktoria Kaunzner (violinist) on 22 May 2014 at 5pm.